SLP Industries Ltd. ensures that practical and effective measures are in place to protect the health and safety of our employees, customers, contractors and those who have activities close to our operations. In implementing policies, SLP Industries Ltd. not only complies with relevant legislation but also encourages other initiatives for protecting the health, safety and environment of those affected by our activities. SLP Industries Ltd. recognizes the importance of the involvement and commitment of management, supervisors and the responsibility of each and every employees in the application of this policy. Managers, supervisors and employees at all levels are held accountable for their health, safety and environmental performance. Seeks to avoid harm to health, or injury to employees and others, or damage to property from its operations and those contractors acting on its behalf. Requires that contractors and subcontractors working on its behalf apply health, safety and environmental practices acceptable to SLP Industries Ltd. Acknowledges the principle that all accidents should be prevented, and actively promotes among all those associated with its activities, the highest standards of safety consciousness and performance thereby required. Provides services which will not cause injury or harm, and promote protection of the environment. Applies measures to minimize the adverse effects of its operations on air, water and soil quality as well as plant and animal life. Maintains contingency procedures for serious accidents, to minimize harm to people and property, and works with relevant authorities and emergency services to develop and implement such procedures. 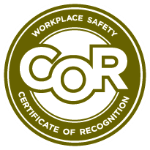 Co-operates with workers, contractors, governments, local authorities, industry, academic and professional bodies as appropriate, and takes the initiative where necessary, to promote workable codes of practice as well as timely health, safety and environmental regulations. Recognizes the right and legal duty of workers to refuse unsafe work. to make safety a priority by keeping safety in mind at all times. with Alberta legislation then that legislation shall be paramount.